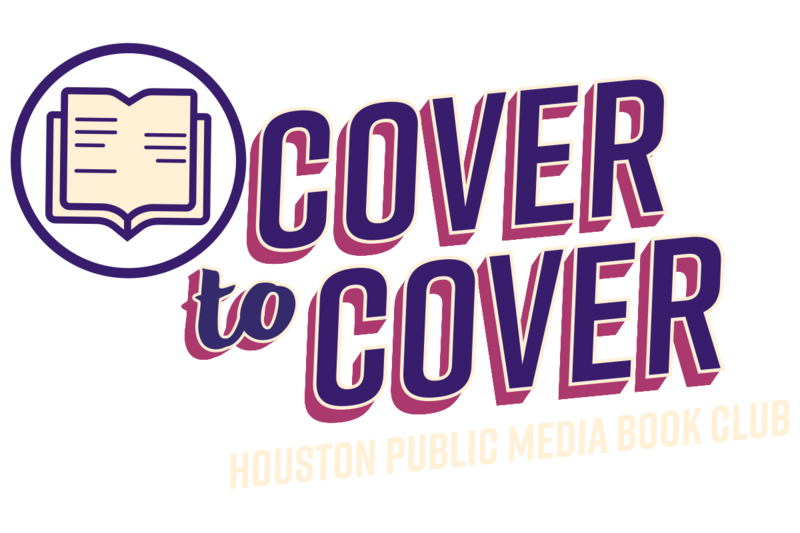 Celebrate reading all summer long with Houston Public Media! 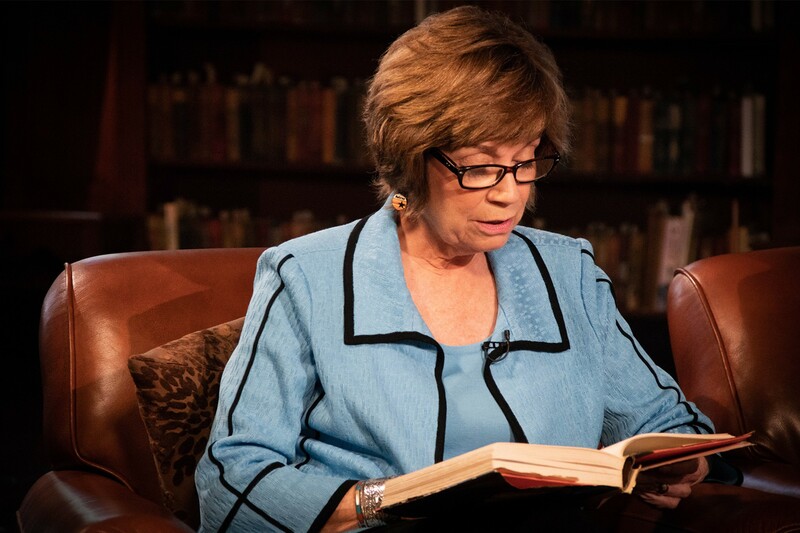 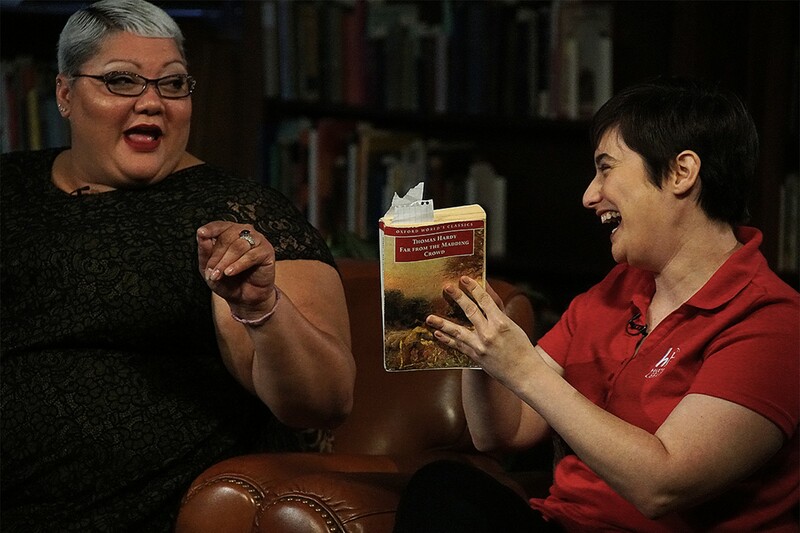 Watch as Houstonians reveal the books that changed their lives in the series, Stories That Shape Us. 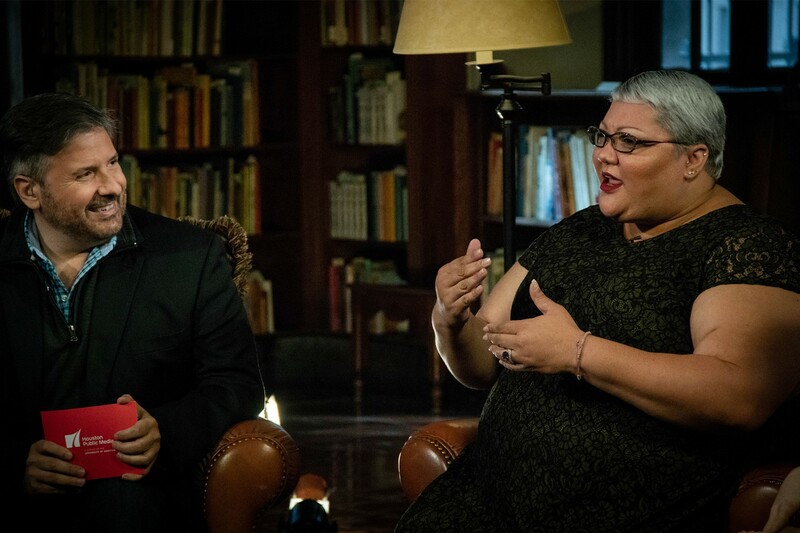 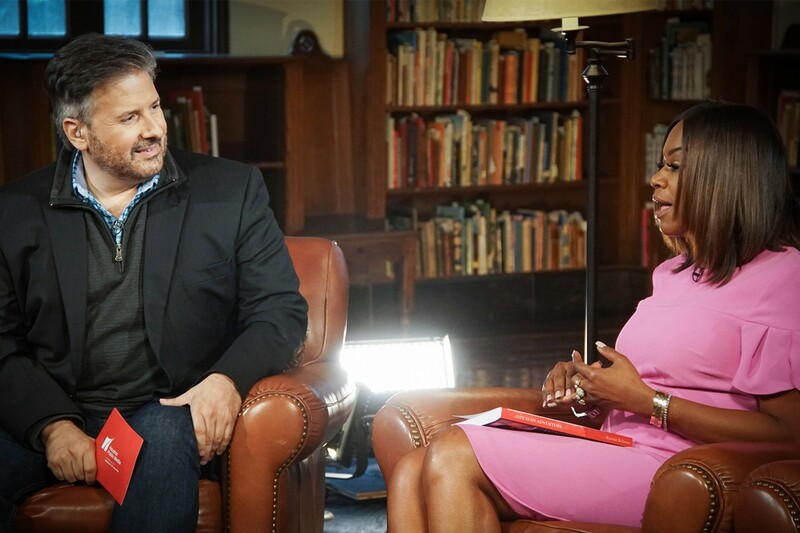 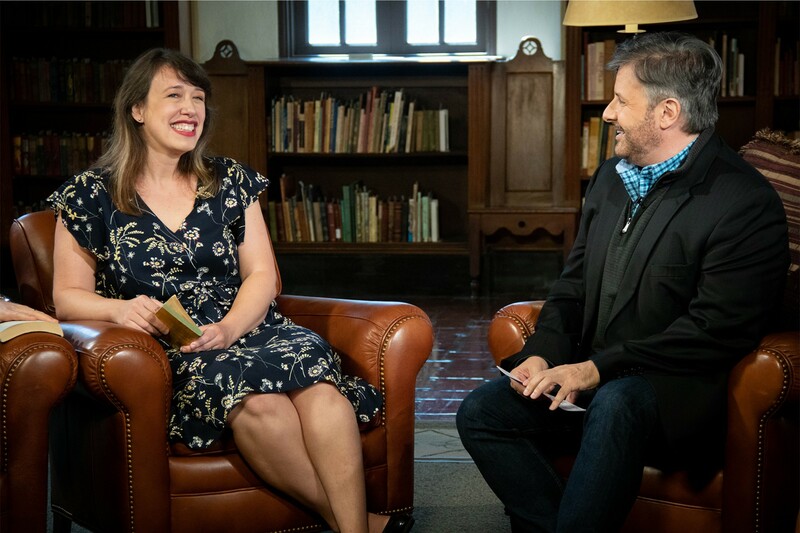 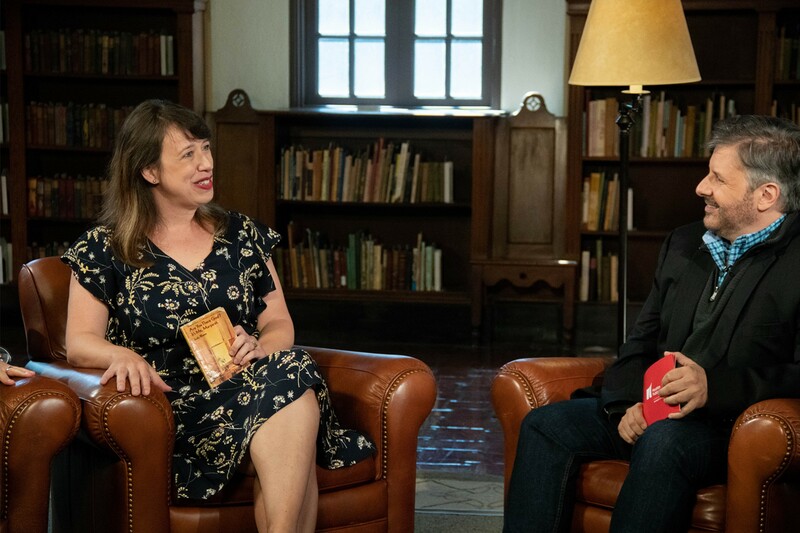 Then, as the summer heat starts to cool down, authors and book-lovers alike come together with host Ernie Manouse for a new, unconventional kind of book club. 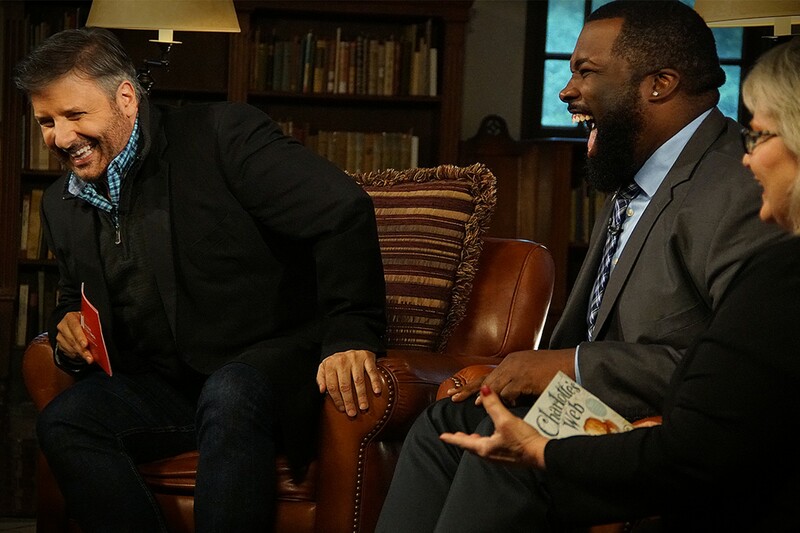 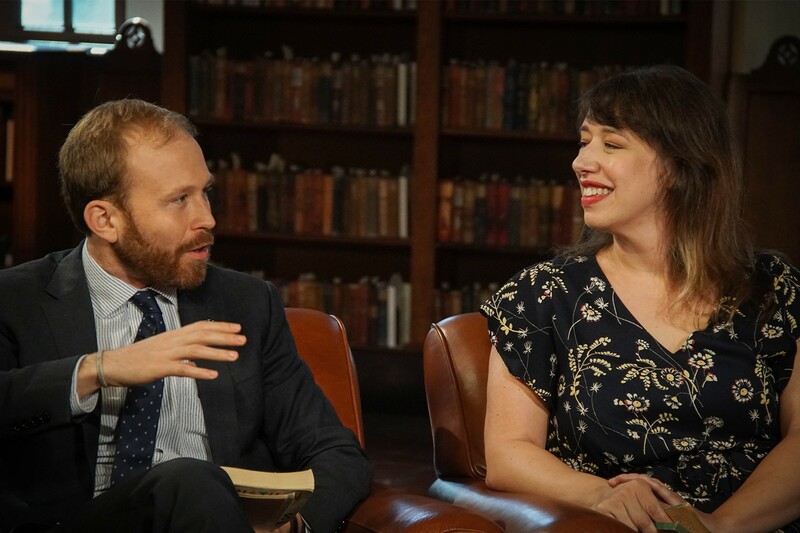 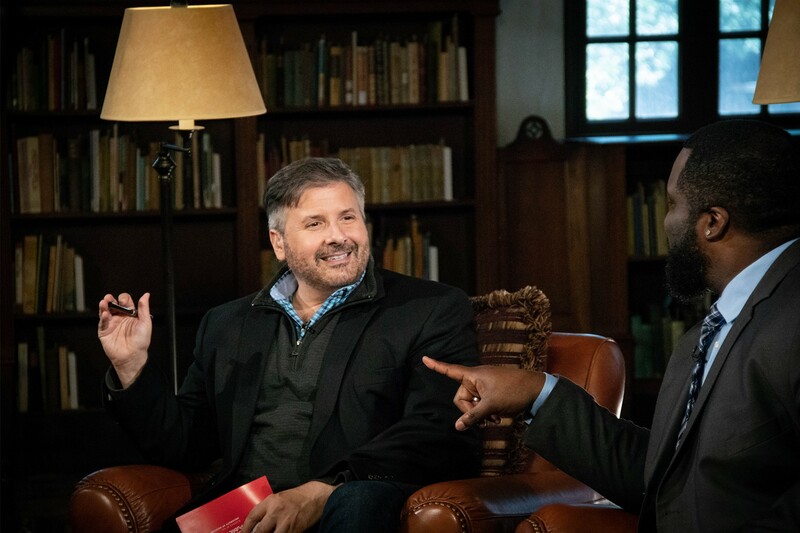 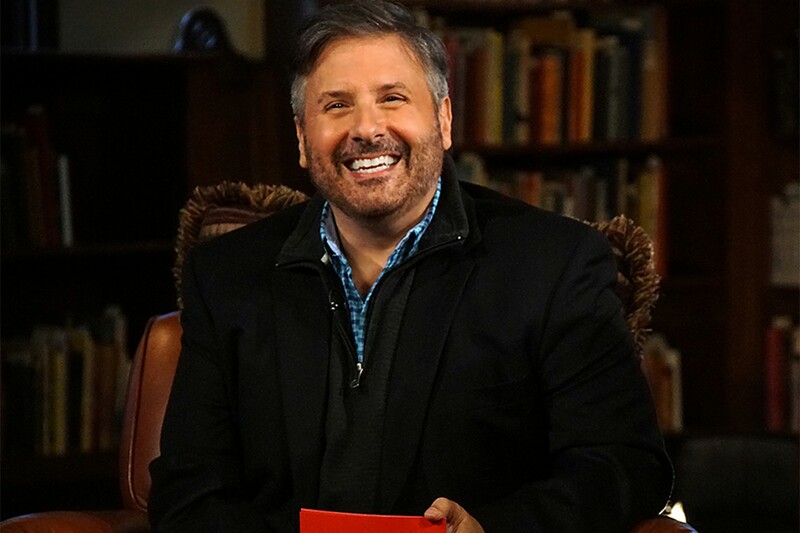 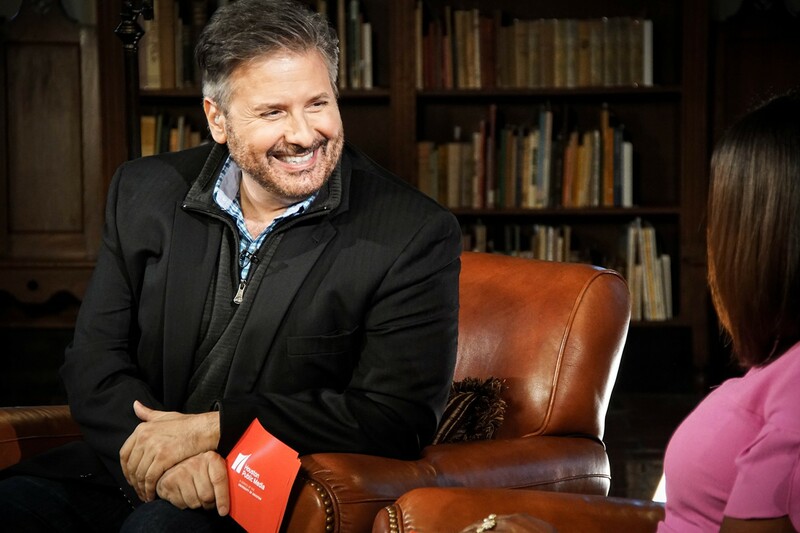 Join host Ernie Manouse each week as he and a changing panel of Houston influencers gather to talk about their favorite books. 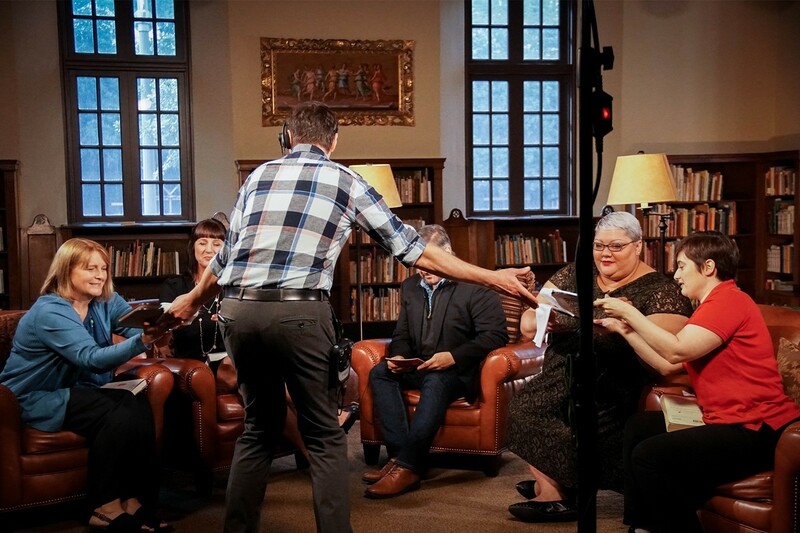 With lots of laughs and a good-hearted nature, Ernie and crew will tackle some of your favorite genres — from Horror to Heroes, Self-Discovery to Romance — this book club will showcase all that we love to read. 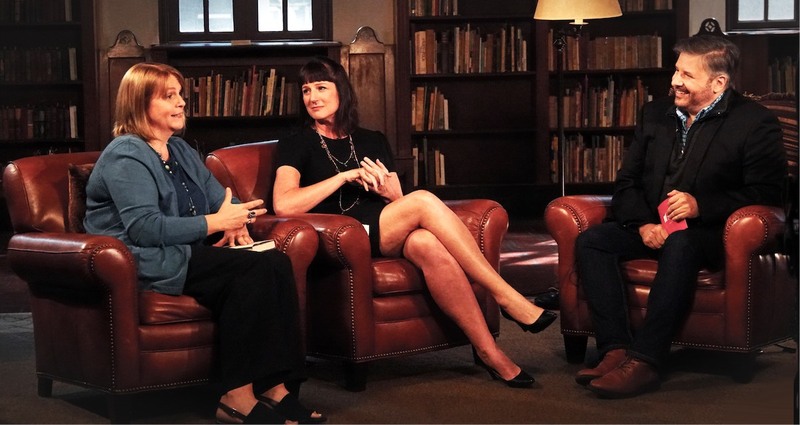 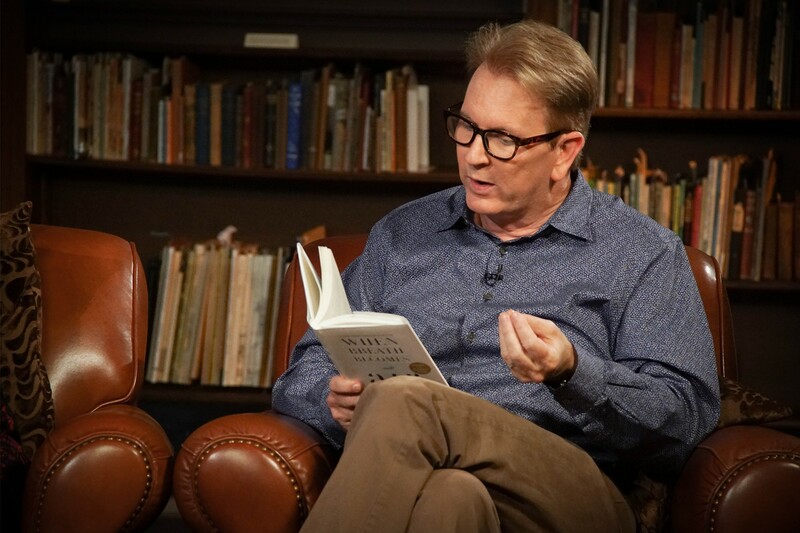 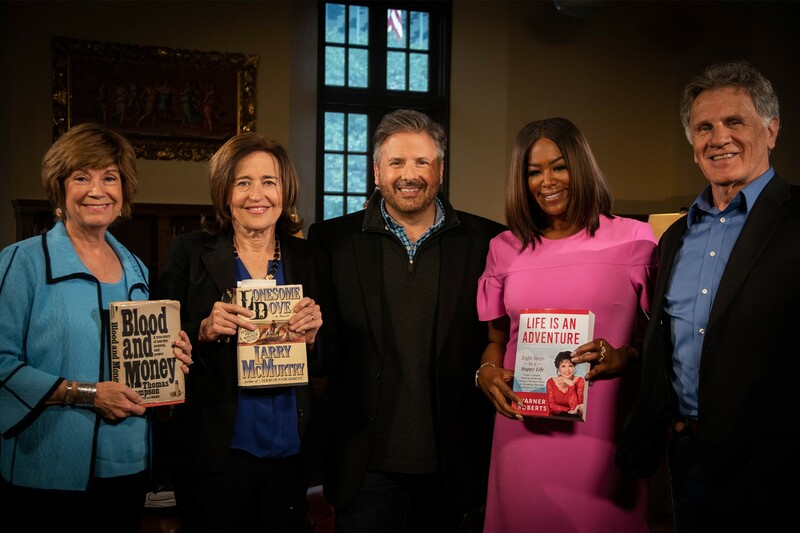 Host Ernie Manouse and book club panelists Ann Weisgarber, Andrea White, Joe Holley, and Deborah Duncan explore books about the Lone Star State — from the "Lonesome Dove" to "Life is an Adventure." 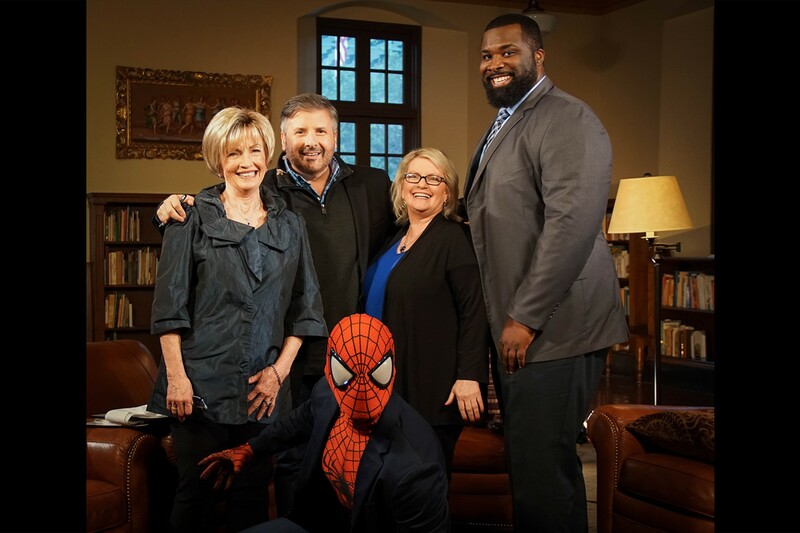 Check out behind the scenes! 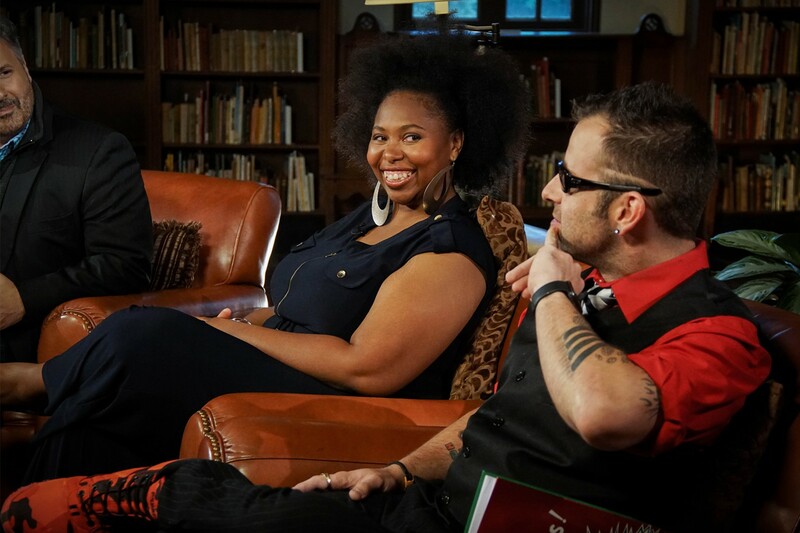 Host Ernie Manouse and book club panelists C.C. 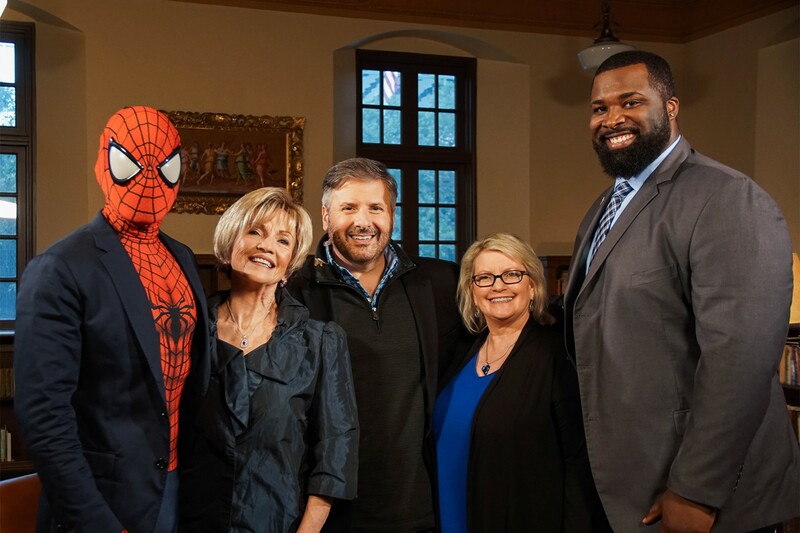 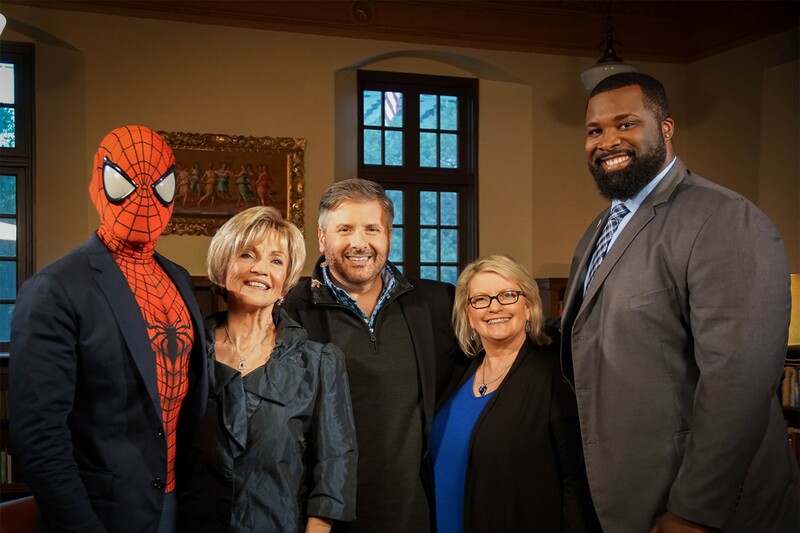 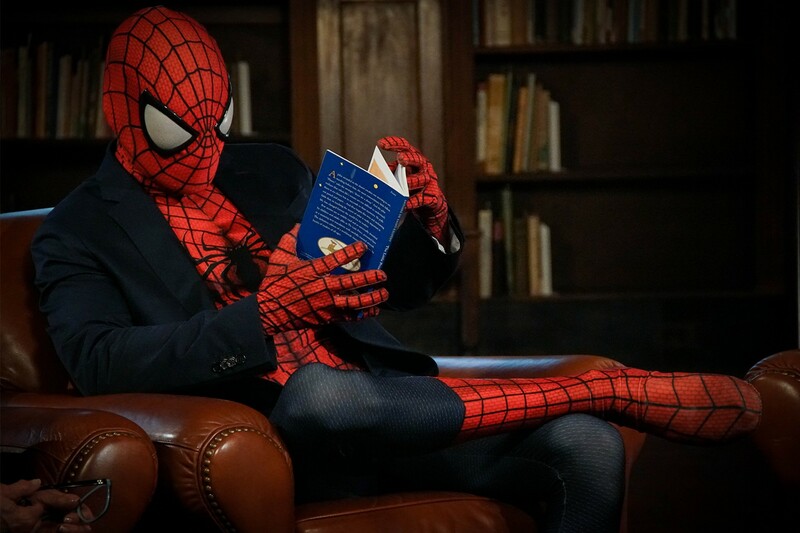 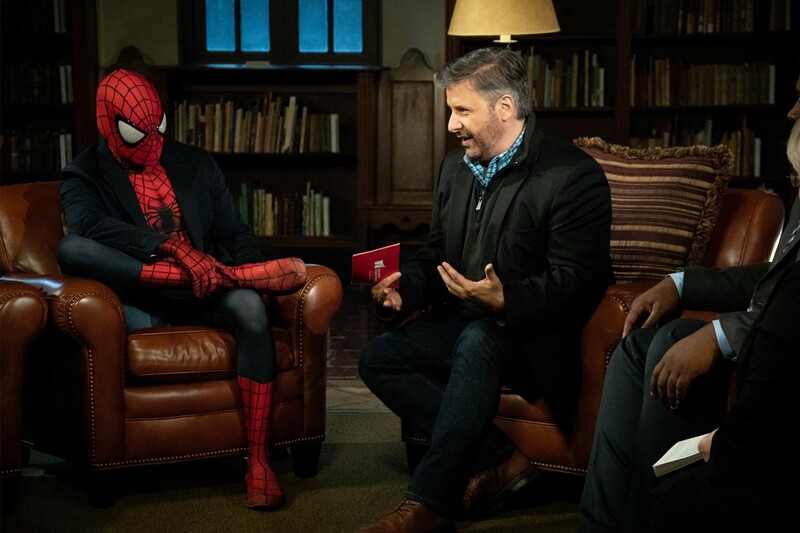 Hunter, Terrance Bolton, Leslie Flynne, and the Houston Spider explore the trials and tribulations of literature's favorite heroes — from the beloved classic "Charlotte's Web" to New York Times best-seller "The Help". 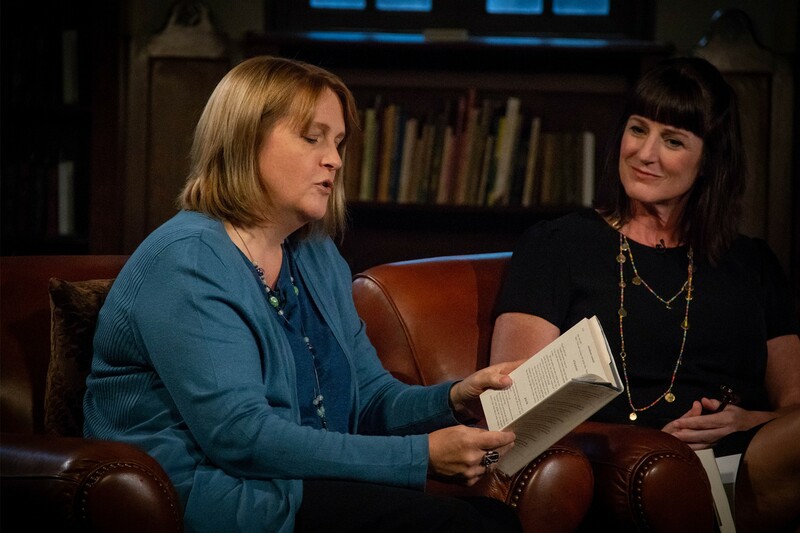 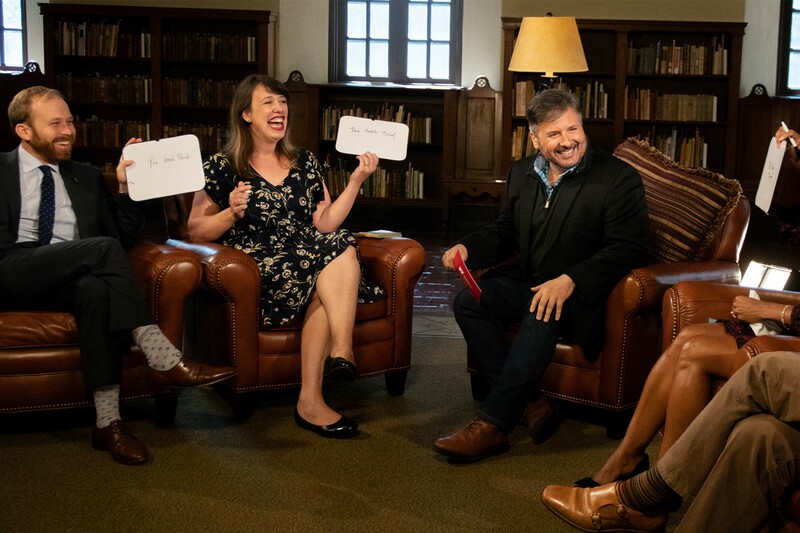 Host Ernie Manouse and book club panelists Christina Wells, Caroline Leech, Kelly Young, and Savannah Dorsett explore books about love and its many forms, from friendships to family to passionate romances, and what we do for love. 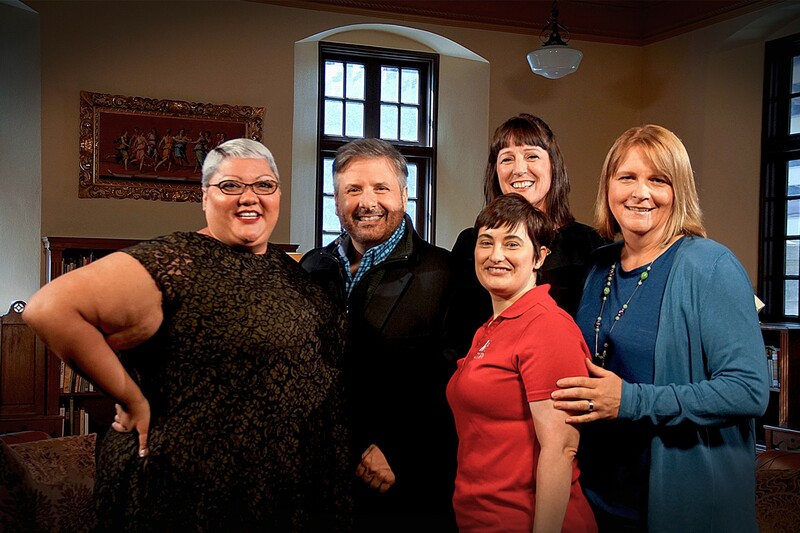 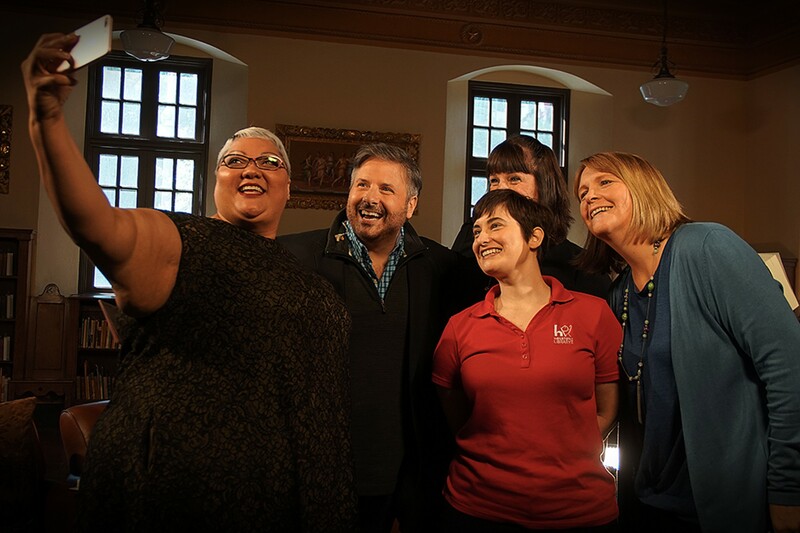 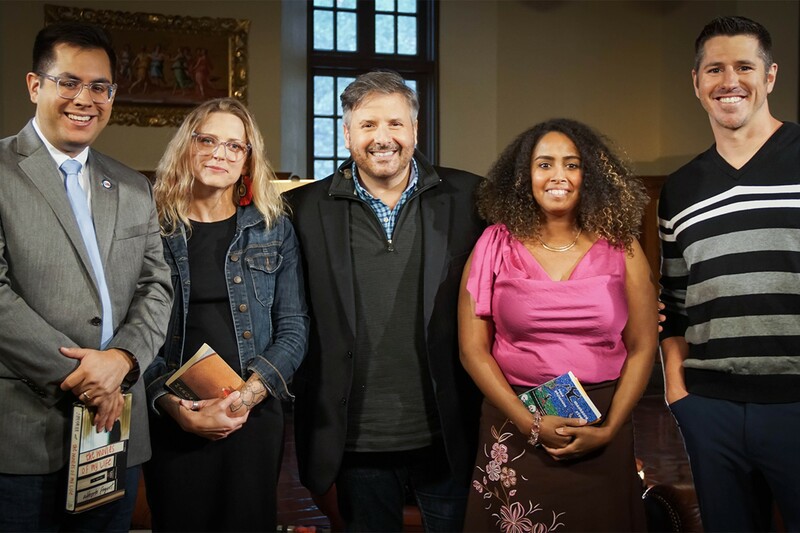 Host Ernie Manouse and book club panelists Charlie Mechling, Lacy Johnson, Jasminne Mendez, and Daniel Pena journey to alternative universes to share their favorite stories of other worlds — from Margaret Atwood's "The Handmaid's Tale" to Stephen King's "The Gunslinger". 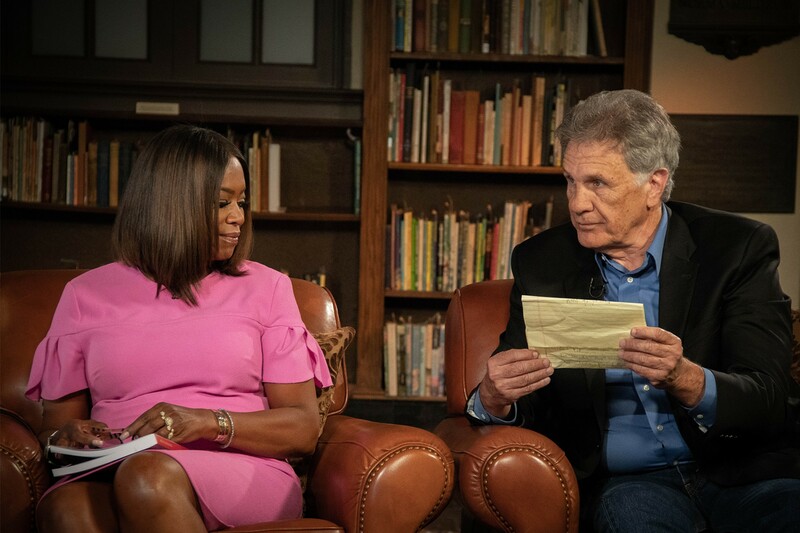 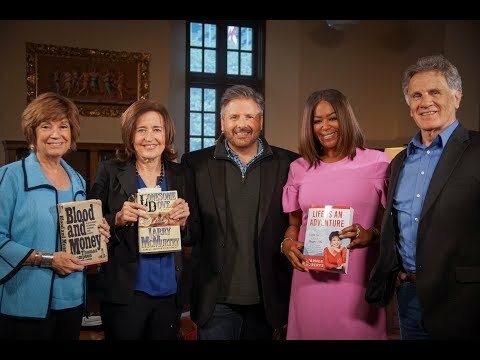 Host Ernie Manouse and book club panelists Ann Weisgarber, Andrea White, Joe Holley, and Deborah Duncan explore books about the Lone Star State — from the "Lonesome Dove" to "Life is an Adventure". 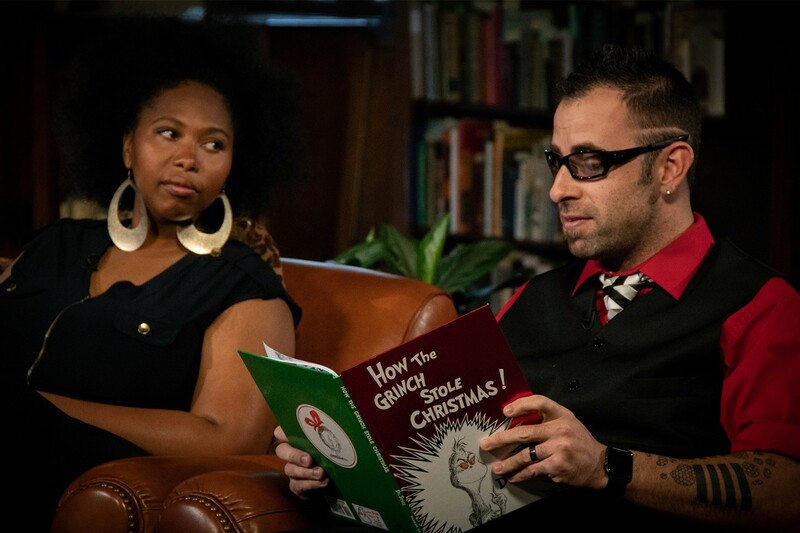 Host Ernie Manouse and book club panelists Deborah Mouton, Deborah Hope, Evo Gambino, and Christina Stroup explore literature's most notorious villains - from the timeless "Macbeth" to holiday favorite "How the Grinch Stole Christmas". 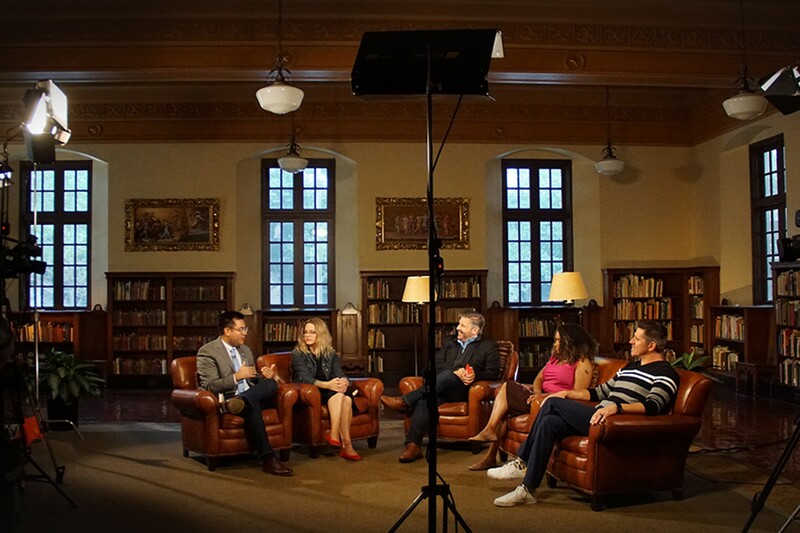 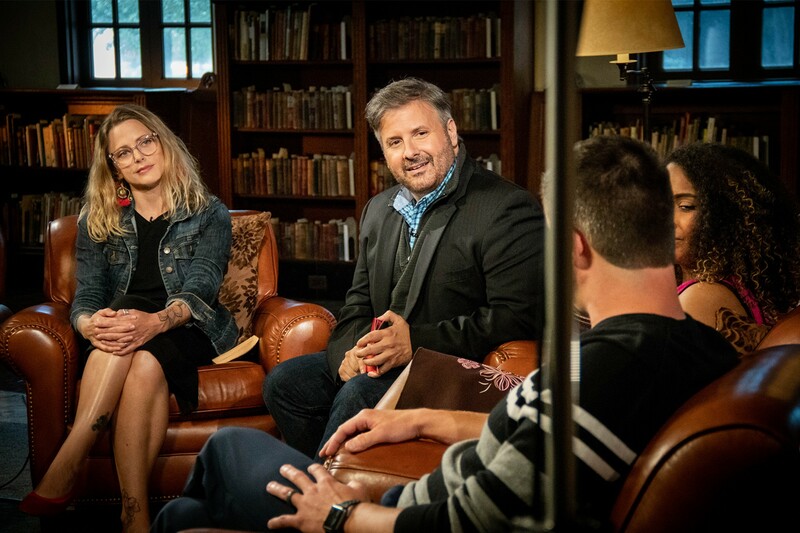 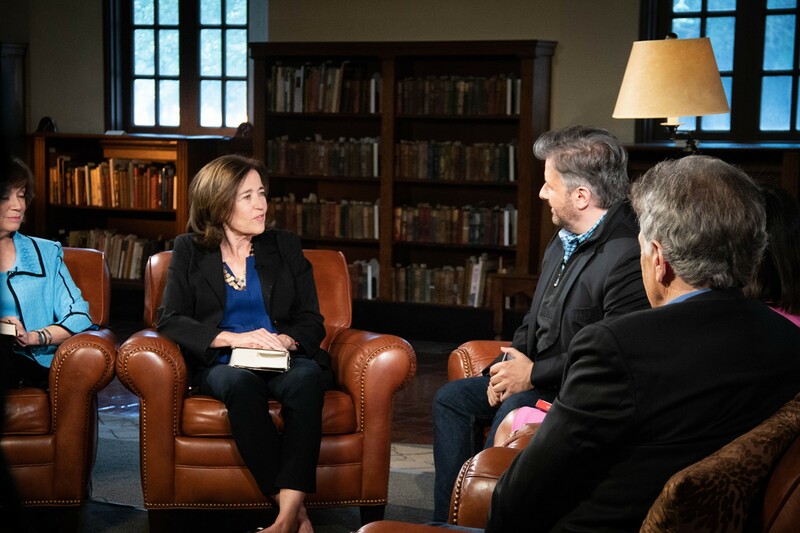 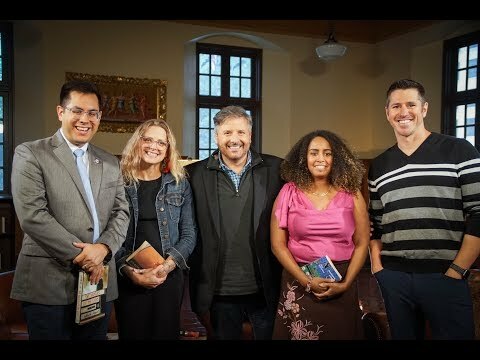 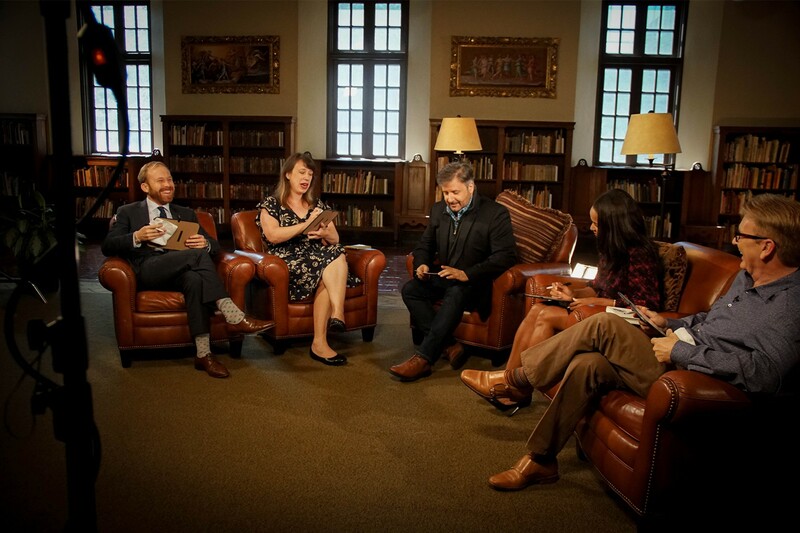 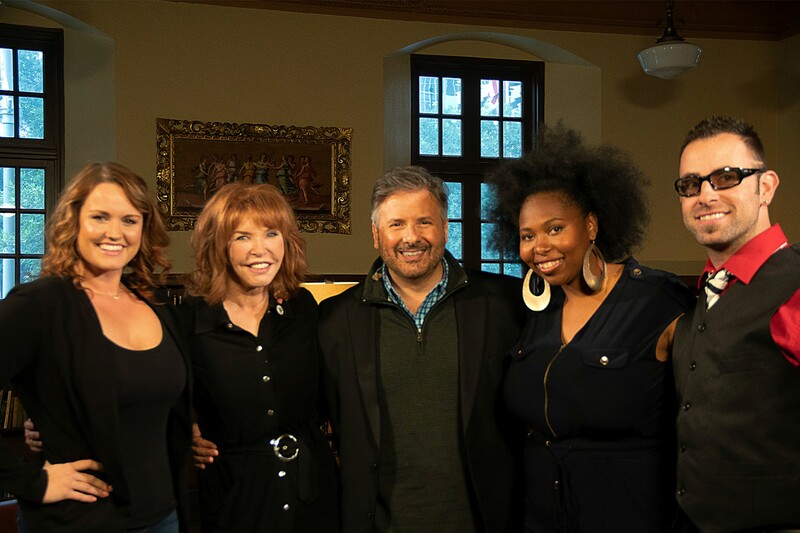 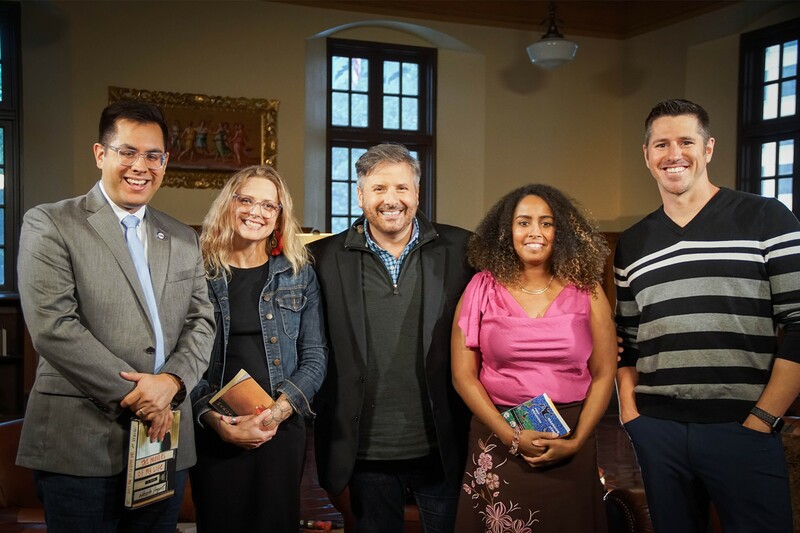 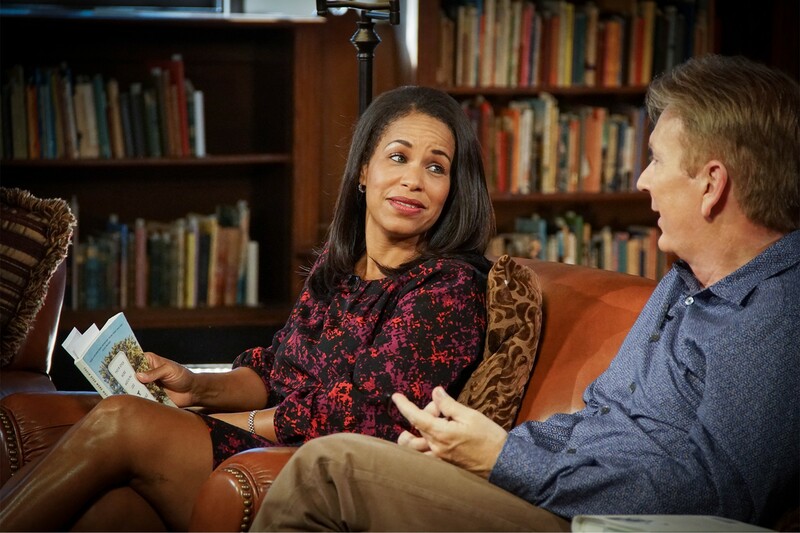 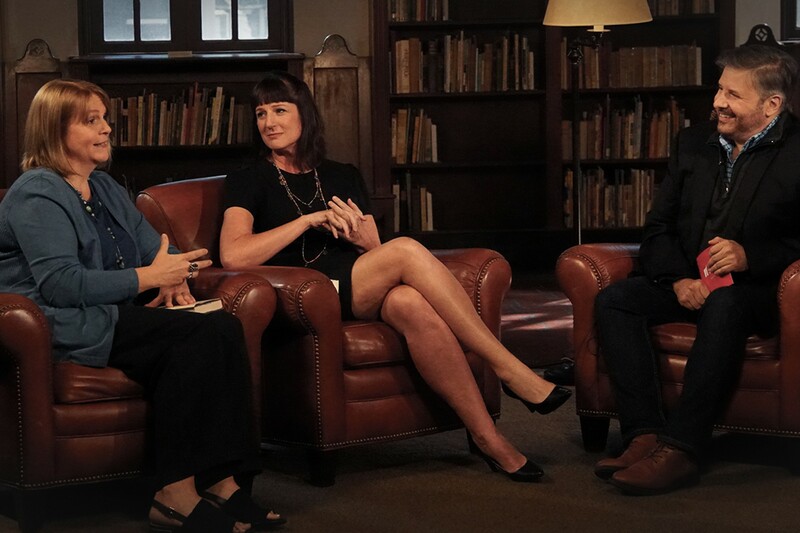 Host Ernie Manouse and book club panelists Jennifer Mathieu, Christine LeVeaux-Haley, Frank Billingsley, and Pierce Bush explore books that help us understand and define our identities and our place in the world — from "Their Eyes Were Watching God" to "Are You There God? 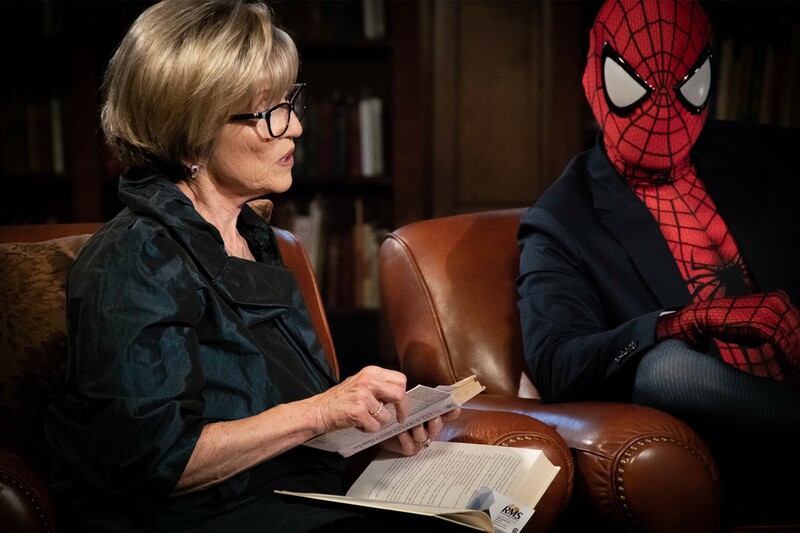 It's Me Margaret"
100 books. 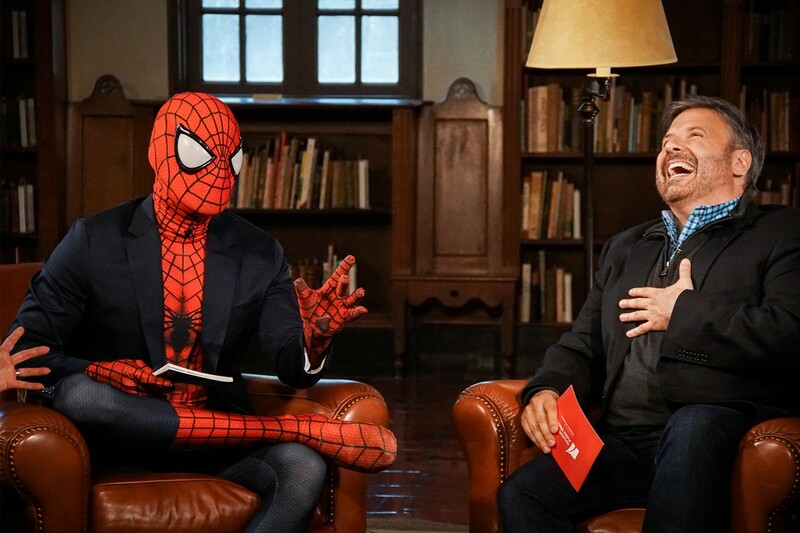 One winner. 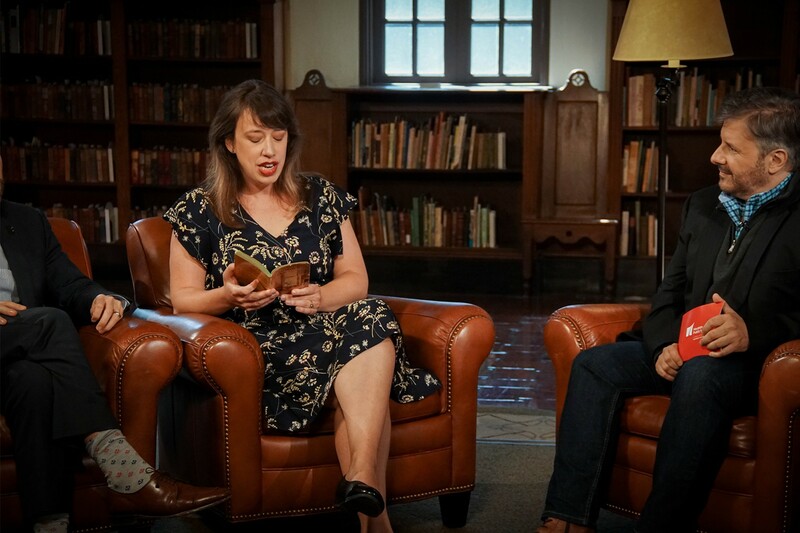 Are you ready to help chose America's favorite novel? 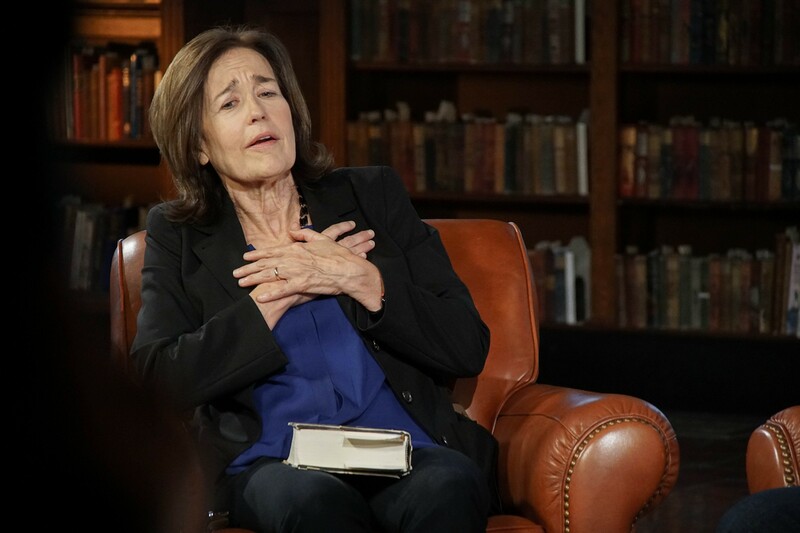 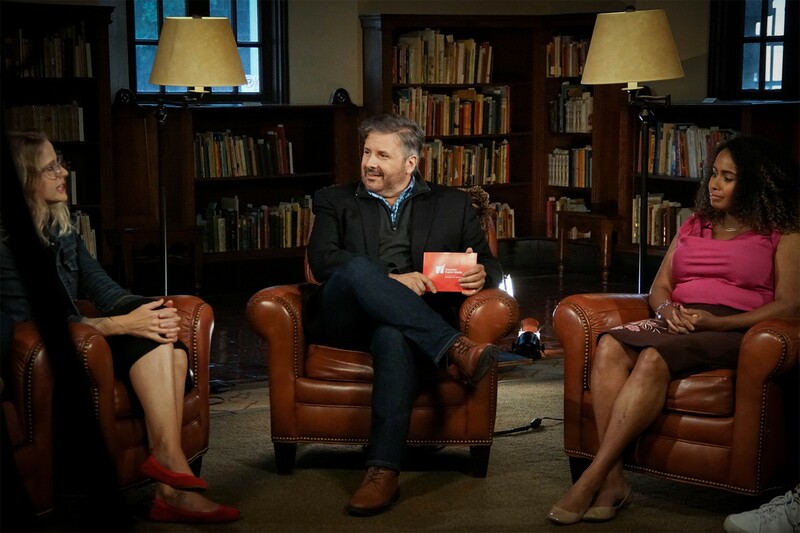 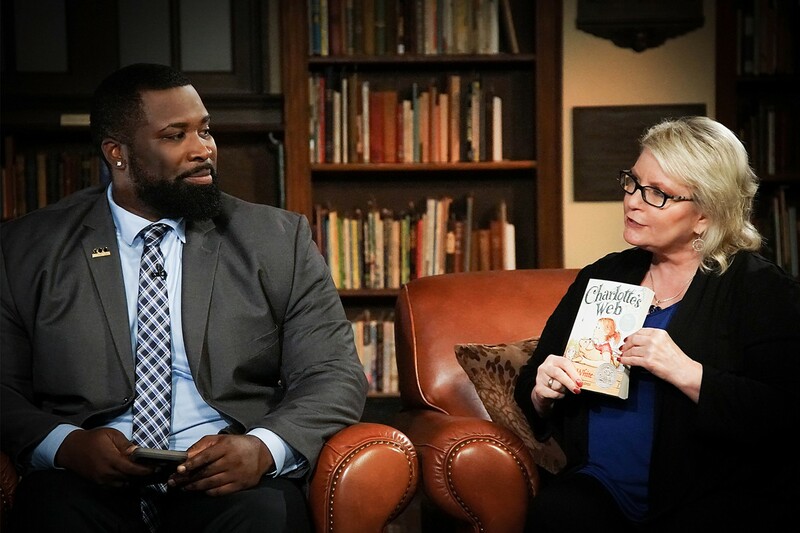 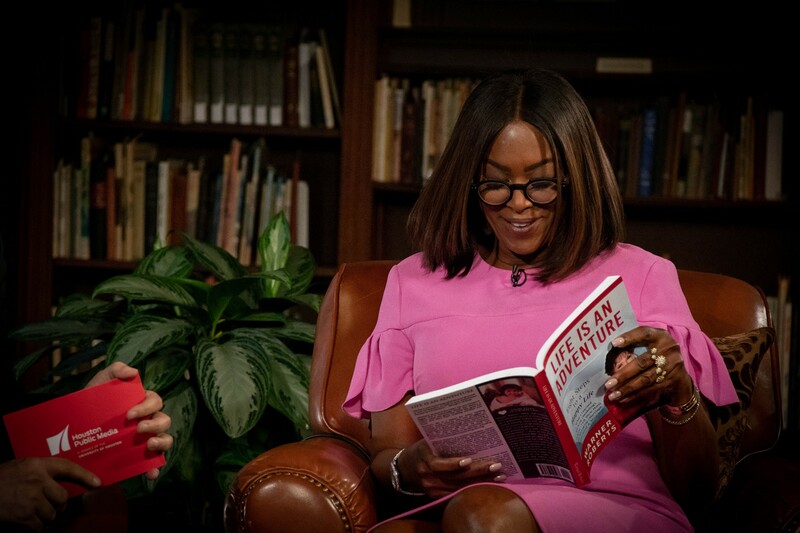 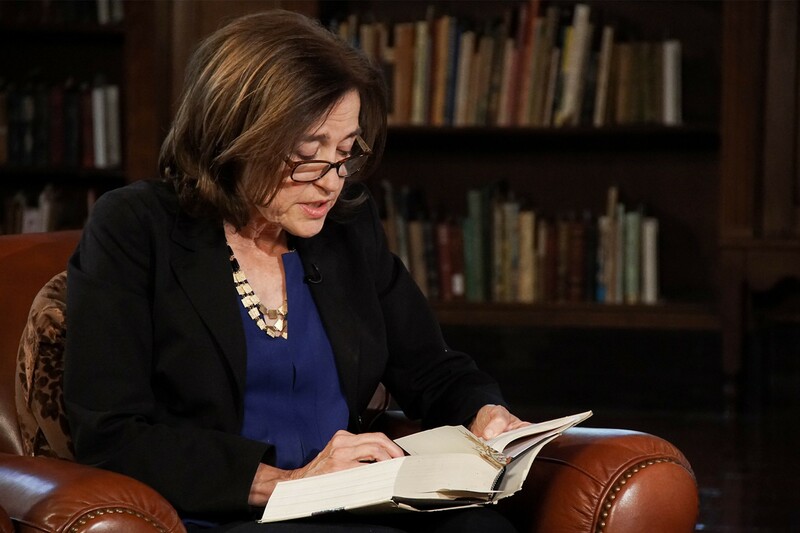 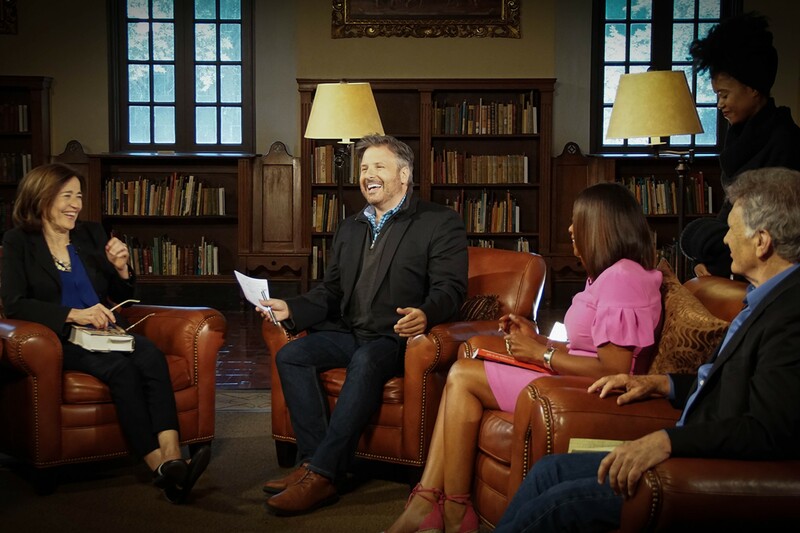 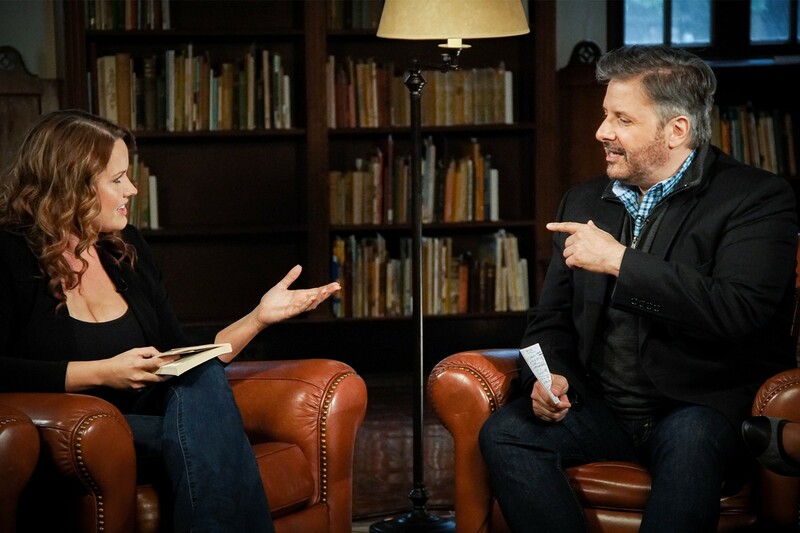 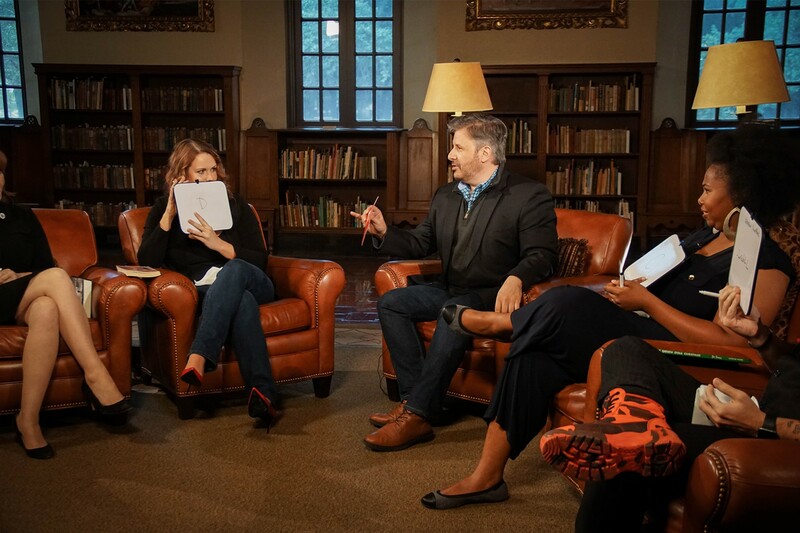 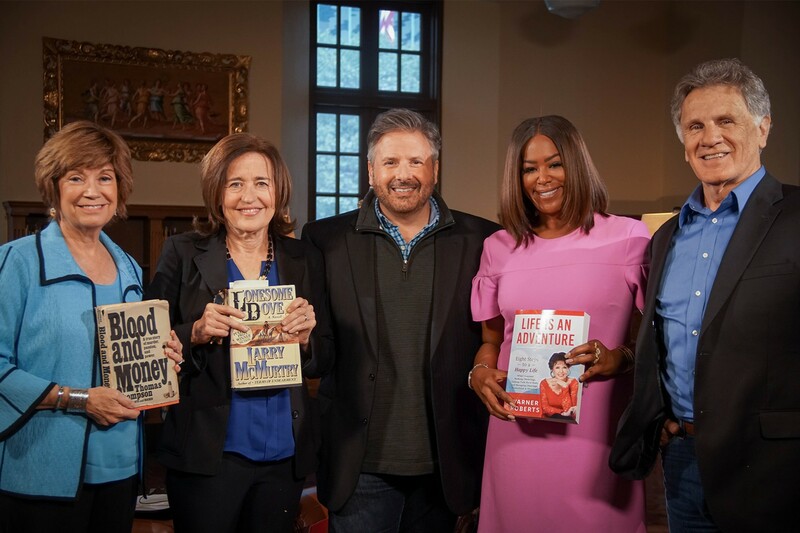 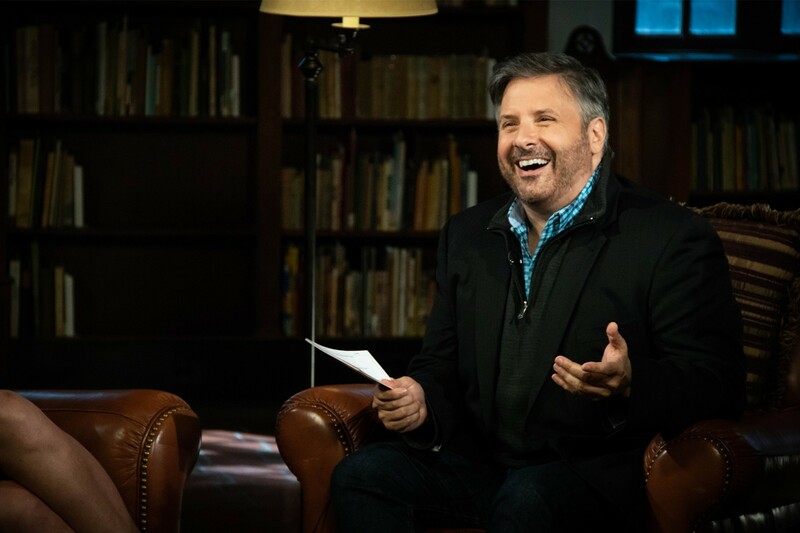 The Great American Read with Meredith Vieira returns this fall September 11th on TV 8. 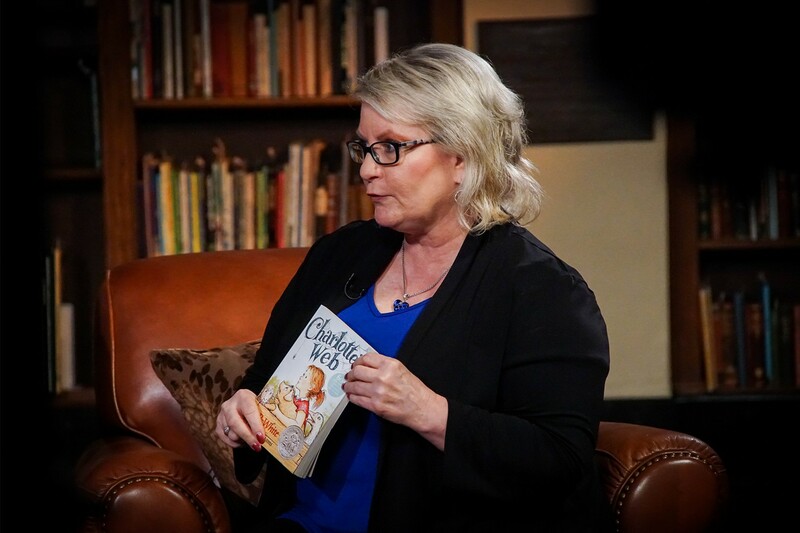 Click the vote button below to see the top 100 books and vote for your favorite. 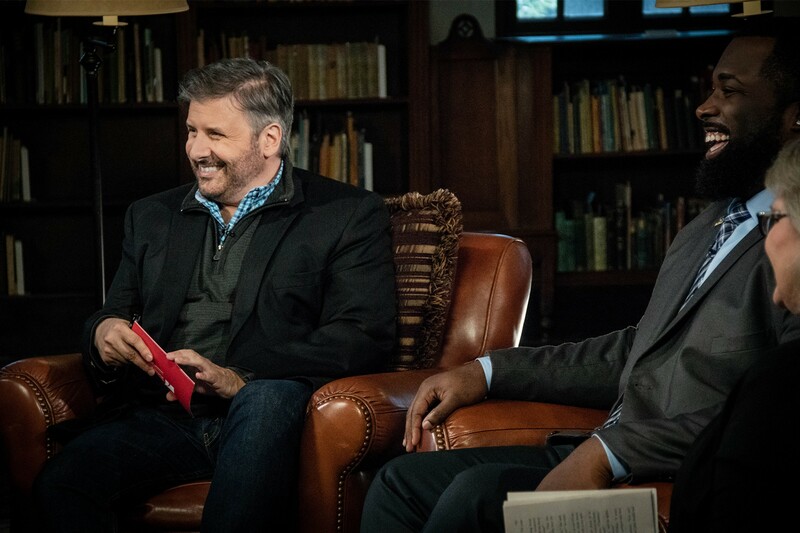 A series of dictionaries first opened Olympian Carl Lewis's eyes to the world around him. 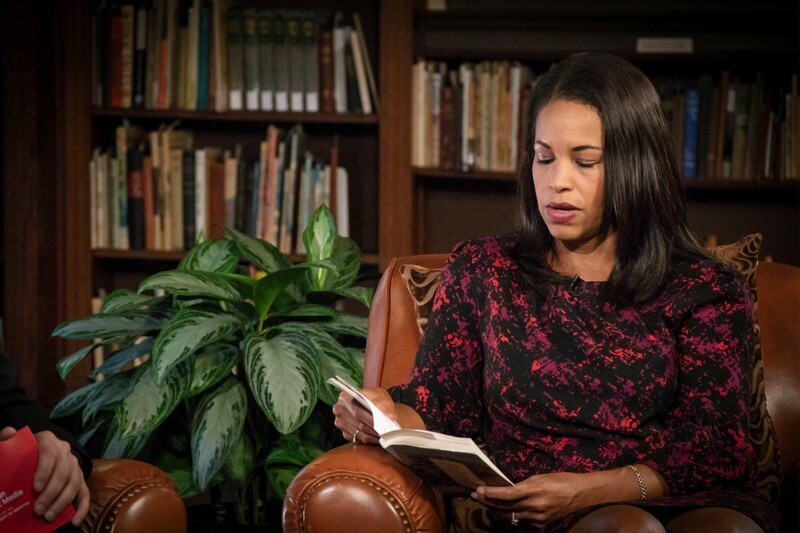 Words by Charles Dickens inspired Lauren Anderson, Houston's first African American principal ballerina, to think about how stories unfold. 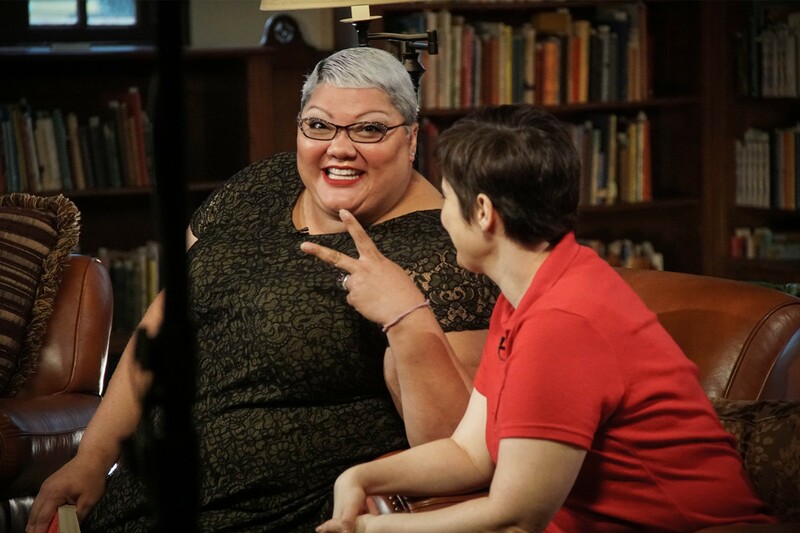 In the intimate video series, Stories That Shape Us, Houstonians share the books, characters and words that helped shape who they are today.